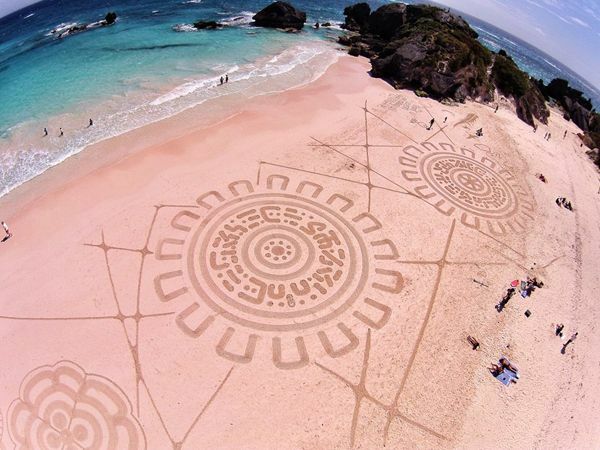 The fourth annual Bermuda Beach Art Festival, a celebration of the island’s beaches that sees people create works of art from the sands themselves, set to be held on March 28, 2015, with beaches from St. George’s to Somerset to serve as canvases, adorned with beach art that only lasts until the next high tide washes it away. Entry is free and artists of all levels are invited to participate in four categories for a cash prize, including Adult, Teen, Family, Tourist, and Best Design Overall. The event’s guest beach artist this year is Tony Plant, from the United Kingdom. The artist is well-known for his landscape art and he is eager to share his tips and techniques with local enthusiasts. A workshop will be held on March 21 at Horseshoe Bay, from 3.00pm through 5.00pm, with additional workshops to be held on March 24, 25 and 26, 2015 from 5.30pm to 6.30pm, completely free of charge to attend. 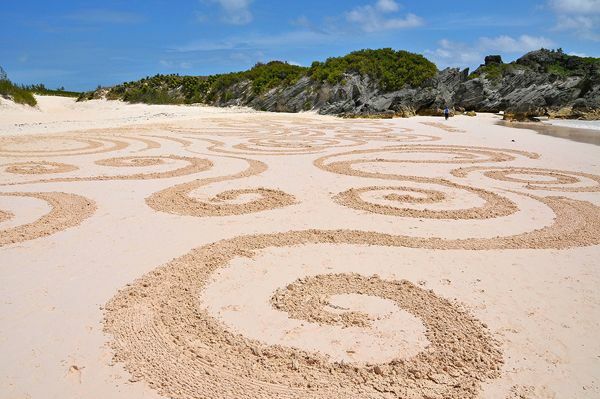 Although beaches from St. Georges to Somerset will see entrants creating their art, the main event is held on Horseshoe Bay on March 28, with free yoga sessions to be held on both Horseshoe Bay and Elbow beaches, provided by top yoga instructors, starting at 11.00am. 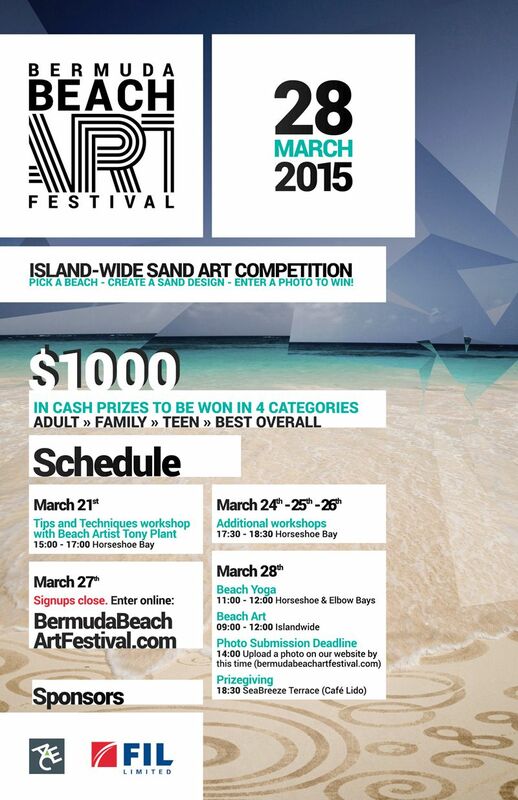 Artists can sign up online until March 27, with more information available at the event’s official website.